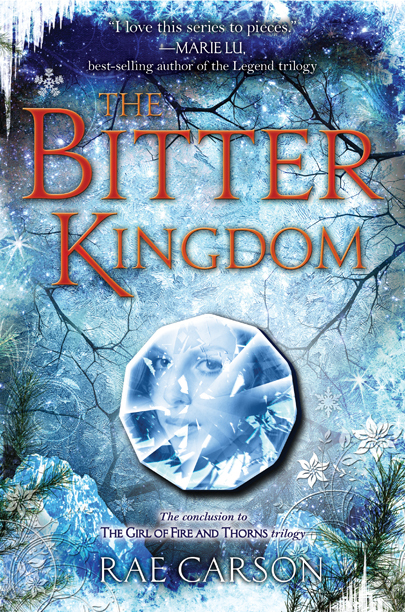 I’m just as excited to announce that I’ll be going on tour during THE BITTER KINGDOM’s release week along with author pal C.J. Redwine, whose novel DECEPTION releases the same day. We’ll be hitting four stores in the Midwest, from Nashville to Chicago. Why are CJ and I going on tour together? Well, for one, our books come out on the exact same day from HarperCollins. For two, we like each others’ books. For three, we think hanging out together is a kick in the pants. We’re calling it The Epic Journeys Tour to reflect (slight spoiler…) what our characters endure in these books. Also, we’ll be journeying ourselves. Epically. And by “epically” I mean “by car.” That’s right, Internet, this is a ROAD TRIP. I imagine it will be a lot like Thelma & Louise. Except with less debauchery and death. Don’t our books look nice together? Here is our schedule for the EPIC JOURNEYS TOUR. We’d love to see you there! 114 Comments on Announcing the “Epic Journeys Tour” (and giveaway)! Hoping the stars align and I can make it to see you two in Nashville! 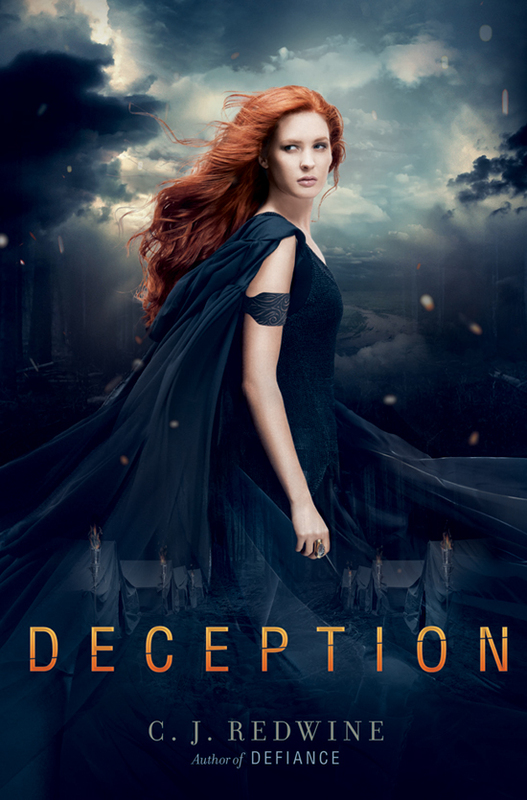 As for a fall book release that I’m super duper excited to read: definitely The Retribution of Mara Dyer. I know Amazon changed the release date to June 2014 but my heart still believes I’ll see it in October! Um, this one 😉 and there are more but I’d have to check goodreads, and right now yours is in my blood! One book i’m super excited about besides Bitter Kingdom is The Dream Thieves! I just started reading THE RAVEN BOYS, and it is wonderful so far! Since I already read and loved The Bitter Kingdom, I’m excited for Allegiant! I loved that series…who doesn’t have a little Tris in them? I’m absolutely dying to get my hands Waking Dark by Robin Wasserman and the final book in Ilsa J. Bick’s Ashes trilogy! It’s ALMOST HERE and yet I can’t help entering any giveaway that comes up because August is still too long of a wait. Still. Fall book release I’m stoked on: Allegiant by Veronica Roth. Want to see how all the abstraction of the Divergent series plays out! I can’t wait for “The Bitter Kingdom”, “Allegient”, and “Crown of Midnight” ! Bitter Kingdom! Does August count as fall? I think so! Deception, of course! I’ve read The Bitter Kingdom already and LOVED it. It was ALL THE FEELS!! A fall read that I’m REALLY excited to read is The Dream Thieves by Maggie Stiefvater. I loved The Raven Boys! Okay, that is an unfair question…it’s more like what am I NOT excited to read this fall. Starting with Frozen by Melissa DeLaCruz and Michael Johnston, OF COURSE, Allegiant by Veronica Roth, Just One Year by Gayle Forman, The Coldest Girl in Coldtown by Holly Black, Rose Under Fire by Elizabeth Wein, Crash Into You by Katie McGarry…I think that’s it. Seriously. For now. The Bitter Kingdom, of course! 😉 It’s definitely on the top of my list. Also looking forward to The Retribution of Mara Dyer. SO MANY fall books! Fangirl by Ranbow Rowell, The Burning Sky by Sherry Thomas, Tandem by Anna Jarzab, The Coldest Girl in Coldtown by Holly Black… the list is endless! Hrm. There is not enough IOWA in this tour. I am super excited for Across the Star-Swept Sea! Fall book! OH JEEZ. How do I pick? Rose Under Fire fo sho. And Fangirl. And probably more, but I am blinded with the possibility of Bitter Kingdom in my hot little hands. Paitiently waiting for Crown of Midnight, Allegiant and of course Bitter Kingdom!! The third Mara Dyer book!! Besides The Bitter Kingdom, which is a big one for me, and obviously Allegiant, The Dream Thieves by Maggie Steifvater or The Retribution of Mara Dyer by Michelle Hodkin. But, this is not a fair question. There are too many. Is ALL THE BOOKS, an acceptable response? Oooh, AWESOME!! Wish I could see you both! I’m actually most excited for The Bitter Kingdom, after that I’d say Allegiant! Ahhh this fall is going to be so awesome! I am ridiculously excited for “Endless Knight” which is the second book in the Arcana Chronicles by Kresley Cole and “Crown of Midnight” by Sarah J. Mass from her Throne of Glass series!!! Is it totally lame to say The Bitter Kingdom? Yes? Okay, then I’ll say Bold Tricks and Ashes to Ashes by Karina Halle. I’m super excited about those! I’m really looking forward to the Dream Thieves. I’ll see you in Columbus! The Bitter Kingdom and Allegiant! Fall releases? Dream Thieves, off the top of my head. I’ve been waiting for Bitter Kingdom. As a Teen Librarian I have recommended the book to a bunch of people and everyone is asking when book 3 is out. Can I say all of the fall books? 2013 has some great releases, but if I had to pick I’d say I’m most excited for The Dream Thieves, These Broken Stars and The Chaos of Stars. Thanks for the giveaway! I’m super excited for: The Bitter Kingdom, The Royal Ranger, Spirit Animals Book 1: Wild Born, Sands of Nezza, and War of the Werelords. Got plenty of reading to look forward to! Super excited for The Bitter Kingdom, as well as The Retribution of Mara Dyer! Hmm… I’m blanking on a lot of fall releases right now! I’m really excited for Between the Devil and the Deep Blue Sea by April G. Tucholke, though! But that comes out in August. I’ve also been DYING to start your series for about a year now, Rae! I’m so excited to read them finally–congratulations on your trilogy! <3! And thanks so much for the opportunity to win! I am so excited about Never Fade, Allegent and, of course Bitter Kingdom!!! Only one release I’m super exicted for? Impossible! Bitter Kingdom, Rae Carson; House of Hades, Rick Riordan; Untold, Sarah Rees Brennan; These Broken Stars, Megan Spooner and Amie Kaufman; Sorrow’s Knot, Erin Bow; One-Eyed Jack, Elizabeth Bear; The Girl Who Soared Over Fairyland And Cut The Moon In Two, Cat Valente; Battle Magic, Tamora Pierce; Hero, Alethea Kontis; Inhuman, Kat Falls; The Trials of Renegade X, Chelsea Campbell. Tragically for my pocketbook, that was the short list. Okay, I DEFINITELY overdid it on the “a release” part of the instructions. Sorry. Very excited to read the Bitter Kingdom–I can only check the other two out of the library so many times! And, of course, hooray for a Cbus date–love that you’re a local author!!! Aside from The Bitter Kingdom? “Across a Star-Swept Sea” by Diana Peterfreund. So so excited. I’m really excited for Shana Abe’s The Deepest Night! It’s the second in the series and I adored the first. Super excited for The Bitter Kingdom…and “Rose Under Fire” by Elizabeth Wein! I’ve FB’d, tweeted, & followed…glad to b a part of spreading the word concerning the arc, epic tour, & book relase… can’t wait. I am SO EXCITED for Just One Year by Gayle Forman!! I seriously cannot wait. Other than THE BITTER KINGDOM? ROSE UNDER FIRE and CONTROL. do you think you’ll stop near Los Angeles at all? If you count the end of August as fall (I still think it’s summer), of course I’m stoked for The Bitter Kingdom!! I’m also super surprised that none of the previous commenters said Champion by Marie Lu – that storyline has been KILLING me since I finished Prodigy! And it’s also safe to assume that the entire bookish community is on pins and needles for Allegiant. My most anticipated book? The Bitter Kingdom, Allegiant, Deception! Crown of Midnight would also be on there, but I had the pleasure of reading an e-arc, and it was amazing. There’s a lot of books but definitely The Bitter Kingdom is high on my list. I’m also SUPER excited about Emerald Green – reading a galley right now and loving it so hard! Definitely buying a hard copy. Honestly, THE BITTER KINGDOM is the one I’ve been waiting for! Another fall book I’m excited to read is of course, The Bitter Kingdom!!! Rose Under Fire and House of Hades. Probably other stuff too, but normally I don’t realize a new book is out until I see it at the library. I think More Than This by Patrick Ness is my most anticipated read of this fall. I’m obviously really excited for The Bitter Kingdom and Deception too though. Absolutely can’t wait for the Bitter Kingdom. Not sure if this counts as fall, but I’m also super pumped about Crown of Midnight. Excluding The Bitter Kingdom (squee! ), I’m most excited for The Fiery Heart by Richelle Mead. Another book I’m really excited for is The Fiery Heart by Richelle Meade! So many books, so little time! I’m really excited for this book, as well as Battle Magic by Tamora Pierce. Fall, be here already! I’m sooo excited for Allegent!! “The Bitter Kingdom,” of course! I must agree with everyone who said “Allegiant.” And to add another October release, “Unbreakable” by Kami Garcia. Come on, October! I can not wait until Allegiant and The Retribution of Mara Dyer is released. That would jave to be Deception by CJ Redwine. Defiance was one of my first ”impulse” buy last year . I borught it without knowing anything about it and it was such a nice surprise. Can’t wait for the Bitter Kingdom!! There are quite a few, but I’m truly excited for The Bitter Kingdom! The Bitter Kingdom, of course!!!!! I’m excited to read The Bitter Kingdom! Umm .Going to cali doesn’t mean seeing cebles. I’ve been there, and i didn’t see anyone famous, but i passed their mansions in beverly hills. Also, you could stay at a motel, or the days inn hotel, those should be cheap. But it depends on where you are staying, so google hotels near where you are staying. Also, you could go to Sea World, which is in San Diego. That is 2 hours from los angeles from what i remember. You could go to disney world, which is pretty close. Also, if its still warm there go to malabu, it really makes you feel like you are in cali, lol. Go to the beach. If its still warm there. Edit: Beverly hills is really expensive, so don’t even by water there, i think its like 7 or 8 for a bottle of water, its crazy. My whole family was starving in beverly hills lol. Excited for Chimes at Midnight (October Daye, #7) by Seanan McGuire. I am super duper excited for the last book in the Gallagher Girl series, United We Spy. Besides this one, I’m really looking forward to Ann Aguirre’s Horde coming out in October. It is also the conclusion to a trilogy. Oh and Veronica Roth’s final Divergent book too! Besides The Bitter Kingdom, I am excited for Champion by Marie Lu. I am nervous about reading Rose Under Fire, the companion novel to Elizabeth’s Wein’s amazing Code Name Verity. How can another book match the first? by Tone Almhjell, simply because it’s been so long since a middle-grade book has enraptured me and this one in particular sounds GREAT. And Crown of Midnight. And Battle Magic. Can’t wait for this book but also super excited f 😳 or Champion & Allegiant! SO looking forward to Origin and Sentinel by JLA! And yours and CJ’s OMW!!! I’m looking forward to the second book by Stefan Bachman in the Peculiar series! Super excited to read Bitter Kingdom of course, and Chimes of Midnight by Seanan Maguire. Both of these books are at the top of my list, so is crown of midnight and kinslayer. There are way too many for me to mention them all! I’m excited to read Omens by Kelley Armstrong and Allegiant by Veronica Roth, as well as this one. Oooooh also The Retribution of Mara Dyer! I’m really looking forward to ALLEGIANT. Not quite a fall release but I’m super duper excited for The Bitter Kingdom, The Crown of Midnight, Between the Devil and the Deep Blue Sea, Champion and Allegiant. I think that’s it =) Anyway thanks for the giveaway. I’m looking forward to Across a Star-Swept Sea by Diana Peterfreund! So many fantastic books to look out for this fall (The Bitter Kingdom, Crown of Midnight, Allegiant, Across a Star-Swept Sea); already signed up on all the waiting lists at my local library! Come make a stop in Arizona on your next tour (or California, I’d make the drive)!